Cloud hosted phone system ready for business! 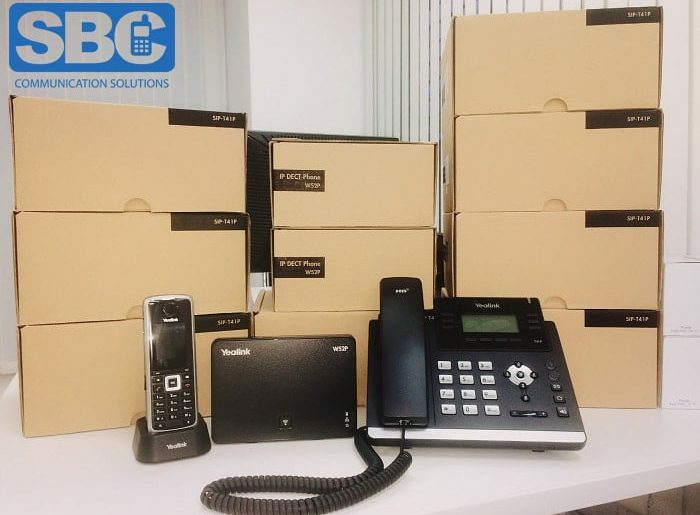 Our client is upgrading their on-premise PBX phone system for a more reliable, modern, cloud VoIP hosted phone solution which will grow with their company today and well into the future. Our clients main reason for change was that their traditional telephone system lacked flexibility. They felt if team members could not be reached easily, they could potentially miss important sales calls, which could be financially detrimental to their business. With our cloud hosted phone system, we are able to decrease the amount of abandoned/missed calls and voicemail’s by setting up an advanced call queuing system. In addition, all staff members will have our virtual office app installed on their business mobile phone. Staff will be able to make secure business calls from anywhere in the world, which means no longer having to come into the office to communicate with colleagues, clients or suppliers. Considering moving your phone system to the cloud? Our Cloud hosted voip phone system product offers a strong set of business telephony features that are essential for any business. From simple call transfer, to making and receiving business calls on personal mobile devices. Sync your mobile phone with your office handset. Never miss a call! Reach staff in 3 or 4 digits, wherever you are. Pick up all your voicemail’s from any device, anywhere. Connect all your offices across with a single cloud phone system. Set up a private virtual conference room with external dial ins. Never lose a customer when you’ve got them on hold. Directs call super effectively and never miss a call. Handle calls professionally and efficiently. E.g. press 1 for sales. Manage your phone system from your smartphone. Initiate calls straight from your computer. Make an announcement to all extensions. Full suite of services to analyse team performance. Top-of-the-range features that make call-handling a breeze. Send and receive fax by email‍‍‍. Get a local number that goes straight to your mobile. Switch to a cloud phone system today. Its easy as 123. If you feel that your current telephone system could be holding your business back. Give us a call to discuss how our plug’n’play phone system could benefit your business. We would like to wish all of our customers a very Merry Christmas and a Happy New Year.